The regular meetings of the teachers and parents are the heart of the home-school collaboration in Steiner Education. 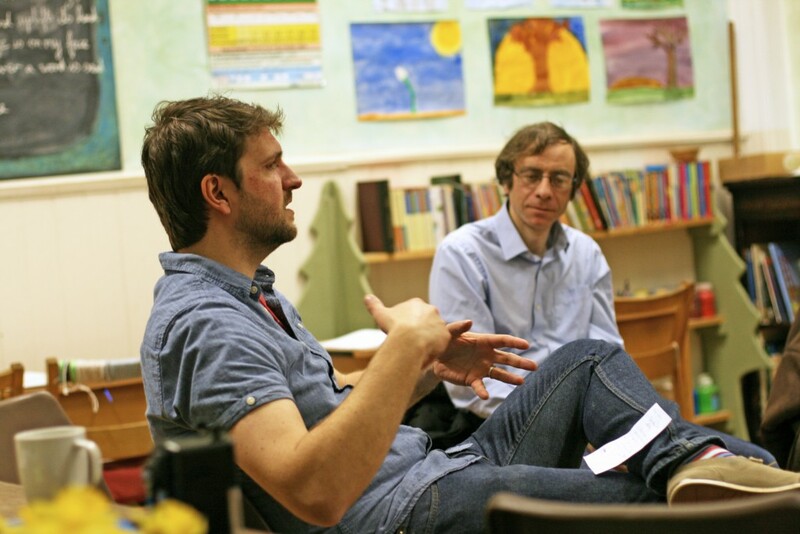 These offer invaluable opportunities for the parents and teachers to meet and discuss aspects of Steiner Education, and help you to support the work that is done in the School. Kindergarten Parents Evenings will often have a specific topic to explore, usually in small lectures by the Teacher (Creative Discipline, The Importance of Play etc. ), and usually include a practical task that the parents and teachers can enjoy together. This lets parents experience what their children do in Kindergarten – painting, making toys, learning a new skill or helping prepare for a special event – e.g. painting eggs for our Spring Festival. Class Parents Evenings look at the curriculum content and other information relevant to the Class. Parents Evenings are also a chance to get together, away from the hustle and bustle of drop off, and take time to chat, ask questions, and share experiences from home and school. Group Parents Evenings generally take place each term. Parents are welcome to speak to their child’s teacher throughout the year. In addition once a year in the Classes, and twice a year in Kindergarten, parents have the opportunity for a scheduled one to one talk with their child’s teacher to find out how they are getting on. This is a chance to exchange information about practical things, discuss how the children are doing at home and school, and look at their handwork, paintings, drawings and workbooks.